Several years ago I had a client who was normally very careful about such things. Her phone was password protected, as was her tablet. Ditto her laptop. She had changed her passwords after starting her divorce. Then one day while her ex was picking up the kids she set her phone down on the kitchen counter after using it and, before it shut off, turned away for a few moments. Her ex grabbed it and bolted away. He forwarded email to his email, including some pictures that were… incriminating… as well as email he shouldn’t have seen. It created real problems in a nasty custody battle that took months to undo. All because of a moment of what really cannot be called carelessness. Who would have thought he would grab her phone in the few seconds before it shut off? It created a great deal of heartache and embarrassment as well as legal trouble. He was a supreme jerk, but I’ve added this to my list of warnings I give to new clients. Spouses often do not realize how much their partners know about their online accounts. Your ex may well know your regular passwords, and even if you open up a new bank account, if you’ve used the same password and login (“SuZZYQ1234%”, “Yosemite!1993”) for everything since 2003 they may be able to access every new account you open. Sometimes if they inherited the computer it will have conveniently stored your passwords and will fill them in for them, allowing them access after you leave to bank accounts, email, social sites, even Netflix. Creepy AND potentially disastrous. When you separate from a partner, you need to make a serious break with the old. Get a new email account (there are plenty of free ones available, from Gmail to Yahoo to your internet provider). Choose login information that you’ve never used before. Use the lock codes for all of your electronic devices, and keep an eye on them; get in the habit of shutting them off when you use them rather than setting them down and letting them shut off on their own. Be cautious about tweets, emails and social site postings. Divorce lawyers view these as gold mines. That funny picture of Dad passed out at a party with a bottle in his arms his buddies took is great for laughs but the judge may not find it so funny in a custody case. The picture of you cavorting with two brawny young half-naked youths half your age may not be probative but may be prejudicial and you can’t make the judge’s mind forget what her eyes saw. The rule of thumb in any family law proceeding is that you must be prepared for the judge to see anything that you post online, tweet, email, Snapchat, etc. These digital communications give us the dubious option of immediate communications and sharing universally that which previously would never have happened, as the time it would have taken to put us in the position to share (and the limited circle of friends we could share it with) would have either given us the wisdom not to share it or would have limited the damage. Showing a picture to some friends to laugh about at work is not the same as posting it online where millions can copy and preserve it forever (and show a judge…). By the way – the picture of the guy passed out drunk posed with the bottle by friends on his Facebook page? I used that in a child custody case quite effectively. One of the least understood aspects of divorce – by folks going through it and frankly often by their attorneys – is the “fiduciary relationship.” From the Latin (fiduciaries) meaning confidence or trust (this is why I can charge the big bucks – I can Google), a fiduciary relationship begins with the marriage vows and ends with the judgment (although it can be extended in some ways by an agreement at judgment, but that is a post for another day). In practical terms, what the fiduciary relationship means is that the divorcing parties owe each other during the divorce the highest level of good faith and fair dealing – pretty much the opposite of what they are generally feeling like giving each other. Remember again that until judgment in a divorce you remain spouses. No matter how you may refer to your former better half as your “ex” during the divorce, you remain married and this law remains applicable. You cannot hide your assets. You cannot keep your spouse from learning about your finances. You have to provide documents when requested in discovery. You have to provide (within reason, but broad reason) bank statements, credit card statements, retirement account plan information, etc. If you are living in the community property house during separation, you have to keep the other party apprised of all developments relating the house. Get a notice from the lender about a change in the interest rate? Send your spouse a copy. The property insurance rate increases? Your spouse needs to get a copy of that. Termite inspection failed? Send them a copy. It is amazing how often spouses are resistant to producing things like bank records and credit card statements when asked in discovery (formal requests or demands for documents you have 30-45 days to produce certain documents). Today judges know that it is simple to obtain copies of statements online; many banks allow you to download copies of statements going back 2 to 7 years in minutes, often with copies of checks included. The same is true with utilities, cell phones and land lines. What used to be a process that took weeks of communicating with providers and banks for hundreds of dollars can now be accomplished online in an hour or two at no cost and then be provided to the other side on a cheap USB drive or cheaper CD. Yet many times I am faced with other parties who fail to respond in time or at all, or who provide only partial responses. This can lead to expensive litigation (a motion to compel responses) and the non-responsive party being ordered to pay the costs of the moving party’s attorney fees as well as their own to defend against it. I recently was awarded over $8000 in fees when I prevailed in such a motion; I imagine the total cost to the other party was well over $10,000 simply because she did not respond to requests for bank and credit card statements she was eventually forced to produce. Worth mentioning is the automatic temporary restraining order (sometimes referred to by attorneys as the ATROS) on the back of the summons served with the divorce petition. This is a powerful protection of the parties’ rights which also reflects their fiduciary duties. The bottom line is that there is nothing to be gained by attempting to hide the ball. If you attempt to hide assets, or try to stubbornly refuse to cooperate with providing documents that you are required by the code specifically or your fiduciary duty in general to produce, you will be forced to do it at a greater cost in the long run. Years ago, a small business owner claimed to the judge in one of my cases that he did not keep sales records. The judge point-blank told him she didn’t believe him, and that at trial she would probably end up penalizing him. The end result was that my client, rather than get some small cash payout that would have ended his pain, ended up equal partners in his business because he refused to provide simple documents. Don’t be afraid of the facts or try to hide them, because they will come out whether you bring them out or the other side does. You want to bring them out so you control how, where and when. You have to trust your attorney to take your facts and accomplish your goals with them and your spouse’s facts. Rarely have I found that my client’s facts were so bad that I could not achieve our goals in spite of them. Using sunshine and full disclosure while the other side tried to hide and play games often gave us the advantage with the court that allowed even inconvenient facts to work to our advantage. When in doubt, deal in good faith. A divorce is about a lot of things. It’s about money. It may be about kids. It’s about property. It’s always about feelings, no matter how amicable the split is. If the split is amicable, lawyers rarely see the people. I actually see a lot of them because I volunteer most months for what in Marin we call the “Pro Per Calendar,” where people without lawyers are scheduled to come in on the first and third Tuesday afternoons in our two family law courtrooms. A small group of lawyers volunteer to work with people without attorneys to try to help them along to settlement and judgment. On a good day I may help settle two cases for people who usually don’t have a lot of possessions or income and get along fairly well. These aren’t the people who hire lawyers, for the most part. Many people know from the start they need a lawyer because too much is at stake. Many people try to settle things without an attorney and find that they cannot. It is too complicated, they are too far apart in what they want, or their feelings are too strong and the distrust is too great. One of the first things I do when meeting with a potential client is to try to find out what the assets of the marriage are, how much money the spouses make. Being a greedy lawyer, you might suspect that I am doing this because I want to know how much I can get away charging this rube, but the real reason is that from the very beginning, and all through the case if I take it on, I have to maintain my eye on the bottom line. Here’s an example I heard of recently from a lawyer who sat on the mediation panel that settled the case. Woman was in a short marriage, maybe 1-2 years. Her lawyer went all out, no expense spared in her case. Case settled. She got $40,000. Her attorney fees? They had asked for about $40,000 in settlement. Now, I have no idea if her attorney reduced her bill given the settlement, but it shows that an attorney must, from day one, be very aware of how much is actually at stake in a divorce. That’s why I try to get a clear picture – what assets are at stake, is it worth fighting over them, how can we best proceed if I take the case, what is my best advice for you. The Family Code (section 2100) declares that it is a value of the Legislature to preserve the assets of the parties in a divorce, which means that as officers of the court it is the duty of the attorneys to promote this. Clearly not all attorneys pay attention to this and judges do not enforce it literally (although they can be parsimonious with fee awards when they believe attorneys have padded bills). Divorce can be expensive. I’m told the self-help books say an attorney will cost between $15,000 and $20,000. That’s wishful thinking in the San Francisco Bay Area, where attorney rates run from $300 to $500 an hour. A single appearance for a case progress conference with the required form could cost you $1000 or more. A simple email could cost $125. A motion for support could cost $4000 to $6000 or much more. If you are fighting over hundreds of thousands of dollars, these things are worth it. If you are fighting over very little, then you are better off working together and making compromises, perhaps with a low-cost neutral mediator. If you are mainly concerned about spousal support (what used to be called alimony), and you have a short-term marriage, use the rule of thumb that support will last about half the length of the marriage, generally starting from the judgment (not separation). To ballpark what you might get or pay, add together what both parties earn (gross, before taxes and deductions) and divide it up so the person making less money gets about 40% and the person making more gets 60% of the total. The person making more has to pay the person making less enough to bring them up to that 40% mark. Only a very rough estimate, and there are online calculators that will give you more accurate numbers, but this will give some guidance. While post judgment support is not based upon the same guideline numbers as is temporary support during the divorce by law, it is “uncanny” how these numbers often seem to apply even to post judgment support. Thus if you were only married for four years, and you will only be getting $1500 a month in spousal support ($18,000 a year for 2 years or $36,000 total) do you really want to pay some lawyer $15,000 of that? Better to agree to go to a mediator, each pay him or her $1000, and work out an agreement where you get that same $1500 a month. If you have a house, where he claims his parents kicked in $100,000 down payment as a gift to him and you say that was a wedding gift to the two of you, then you have a real reason to hire an attorney. I’ll leave the explanation of why for another post. It’s all about the bottom line, and a good attorney will go over that the first thing with you to explain whether your case is worth a fight between attorneys or better suited to mediation or just sitting down, gritting your teeth and writing out an agreement. It may be that you can use an attorney to prepare you for mediation, which I have done a number of times as another low-cost alternative to a long court battle. If an attorney takes your case without getting into the details of your finances after simply asking if you have enough money to pay their retainer, beware! They are only looking out for their bottom line! Years ago at a family celebration, after observing me with our four-year-old son, my aunt said to me, “You’re JR’s primary caregiver, aren’t you?” After I got over a seventy-something woman using the term “caregiver,” I was surprised that it was so obvious. My wife and I are partners, but with our youngest boy I have always been the one who took the lead. I was the one who instantly woke up when I heard him call out at night, or heard the thump two floors above during the day. He was a sleep walker, and I would wake from a sound sleep hearing his door open. I changed countless diapers. I did the early morning feedings and changings. He brought his new creations to me to show. I went on all the school field trips, and until middle school was always the parent involved (my wife took over in middle school, where she became a force to be reckoned with in the PTA and fund raising). I fixed his boo-boos. He still cries on my shoulder, not mom’s (I won’t embarrass him by giving his age now). I had the luxury of working from home so was always there for him. I sang him to sleep and calmed his nightmares. 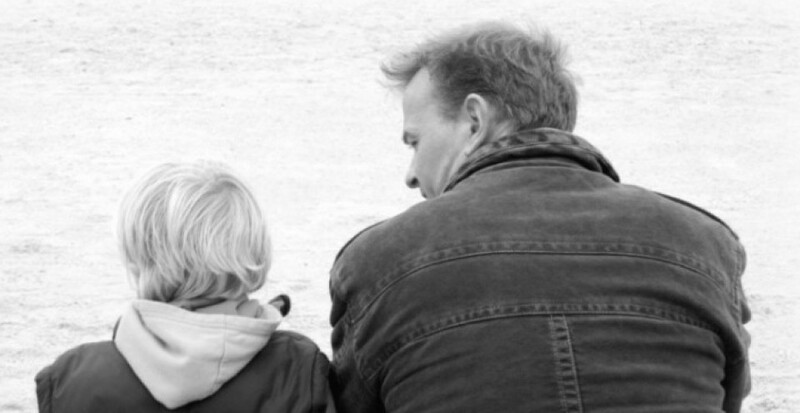 Yes, dads can be primary caregivers, even for young children. I’m living proof. There was an ad campaign in 1968 for women, linked with images of women’s progress that proclaimed, “You’ve come a long way, baby!” Unfortunately, it was for a cigarette for women. Looking back over 40 years later we know that women have certainly come a long way from the roles that they were expected to perform and limited to through much of history. Yet stereotypes about roles men and women fill in life remain, and these stereotypes impact how the rights of fathers are mishandled by lawyers and the courts today. There still remains enough reality to traditional roles to support this prejudice, however, making it more invidious. In our “enlightened” society too often fathers are still seen in the role of secondary caregivers for children, particularly young children. There is a bias in many courts that young children especially need to spend the majority of their time with their mother who is “better suited” to care for them. Like many stereotypes, this one has a basis in reality. Frankly, most dads in my experience are willing to let mom handle the majority of the child raising responsibilities while dad takes care of his work and starts his new life, integrating the kids on his schedule. This is true whether mom works or not. If you are a dad who will be content to have mom take care of the kids most of the time and you will have them a night or two a week and every other weekend and alternating holidays, then read no further. If you are more concerned about the time the court assigns you for support calculations than actually being involved in raising your kids, most attorneys can serve you well. You will find that this is what the courts and most lawyers will produce almost by rote. But if you are a dad who wants to be actively involved in your kids’ lives, who doesn’t want his gender to be the dominant factor in the court deciding who the primary parent should be, then read on. Recognizing that there is a bias against you is a start. American culture actually celebrates bias against fathers. Watch TV on any given night. Start with the commercials, then move to the “family comedies.” In most depictions in ads or comedy, dads are buffoons or befuddled. Kids know so much more than out-of-touch dads. Moms are practical and work around the impractical dad to hold the family together and make everything work. My father first pointed this out to me over 30 years ago. It’s not anything new. What does this matter for your divorce? In a culture steeped in disrespect for fathers, there is an unthinking prejudice, an unconscious bias against dads that people bring with them to their daily decisions. Replace “dads” with any other group. Would advertisers feel that they could successfully market their products by making fun of how stupid and impractical mothers are? Or replace dads with specific minorities such as African Americans or Native Americans? The disabled? Muslims? Jews? Hindi? Would these groups be caricatured in the same way on such a regular basis with no backlash or outcry? The fact that American society tolerates such a stereotype and it apparently sells products (why else would it be continued for decades?) means that it is an accepted archetype. Dads (of every race, color and creed) are somehow less competent than moms. Dads don’t fight back. We grin and bear it. Ha ha. Very funny. And we buy their product after they insult us. Men are not necessarily less competent than women in other areas in life in commercials or comedies. These same dads may be shown coming home in a nice car to a nice house to a mom who appears to be a homemaker – so he is apparently financially successful. But as a dad he is less competent than the mom. Our culture also celebrates the “single mom” but rarely the “single dad.” The single mom is honored by politicians and other public figures, in TV specials and by song and movies. To be sure, many (most?) single moms face special challenges, often caused by “deadbeat dads” who neglect their duties and responsibilities as fathers. But those dads are not you, and you should not be demeaned, overlooked or tarred by the brush of their irresponsibility. The title of “single mom” which is bestowed on any mother in divorce who doesn’t instantly remarry after judgment should not influence the court any more than your title as “single dad” does. You face your own unique challenges, some shared with mom, some different but just as daunting. No judge is going to articulate this to you. No attorney, on your side or opposing counsel, will make this argument. But it lies underneath your entire case. You had better understand it. This is the elephant in the room, the cultural bias you must overcome if you want to effectively assert your rights as a father and win the time with your children that you want and deserve. Dads are not as good at raising kids as moms. It’s built into our culture. It’s an assumption that underlies decisions made by judges every day in courts across the state of California. You need a lawyer who understands that and rejects that bias, who will fight for you to win the custody rights you want and deserve. Now – how do you go about doing that in your divorce? In real estate, as the saying goes, only three things matter – location, location and location. My house is literally on the border line of two counties; if it was across the border, it would be worth tens of thousands of dollars less. If it was in Marin County, it would be worth hundreds of thousands of dollars more. In family law, in divorce, what will generally make a difference in you getting what you want is how well you can document your claims at every step of the process. Whether you are negotiating directly with your spouse, working with a mediator, or litigating with the judge, the documents you produce will be critical. For most people, this requires a shift in thinking. During marriage we generally don’t worry about documenting conversations with our spouses or agreements we make with them, or keeping records of what we spend on the kids. After separation such things are very important. The worst thing that you can get into before a judge is a she said/he said argument. This is where one side maintains one position, the other side maintains another position, and the judge has to decide which side to believe. Of course you are telling the truth, and the judge should believe you… but why should she? Sometimes if there is a history in the case the judge will have formed an opinion of both parties and have reason not to believe your spouse, but that can go both ways. Sometimes your position may appear more plausible. But sometimes it will be easier for the judge simply not to take sides and split the difference down the middle, or reject the issue altogether and tell you to work it out between yourselves. You always want to have pieces of paper supporting your position to hand the judge (or mediator) so they do not have to rely solely on your word. A claim that you paid for something is much easier to make if you have a canceled check to back it up. A claim that you agreed to something is easier to make if you have an email showing that you agreed to it. Keep your communications with your spouse, wherever possible, in writing. This can be email (best) or text messages. Never delete these text messages, and backup your phone frequently. There are cheap programs to download your text messages to computers which are worth investing in; for under $10 you can guarantee a lost or crashed phone does not cost you valuable text messages which document important communications you may need to prove something related to support, custody or a large asset like your community property home. Documentation can be as simple as keeping track of things on a calendar. I had a client keep a calendar in his kitchen where he recorded things related to visitation – late pickups, canceled visitations, when his 2-year-old was not fed or bathed when returned, etc. Individual instances were meaningless, but when he recorded contemporaneously dozens of instances and showed the actual calendar to a judge along with the summary data it was compelling. Always give copies of important papers you get to your attorney. If you get a letter from a credit card company indicating your spouse is using a credit card you didn’t know you had, make a copy immediately and give it to your attorney. If you discover a document in the house that you think is interesting, let your attorney be the judge of how significant it is. Ideally, you want to be able to have a piece of paper to support every claim you make to a judge. This won’t always be possible, but if you can support 90% of your claims, and your spouse does not bother to support any of his claims (as many do), then the judge is much more likely to accept your position on the remaining 10% of your positions. It is surprising the number of divorce attorneys who simply appear in court prepared to talk their way through cases. As a general rule (not always, but generally) if you come prepared with documents supporting your positions you will achieve outcomes closer to your positions than if you come with a smile and a story.